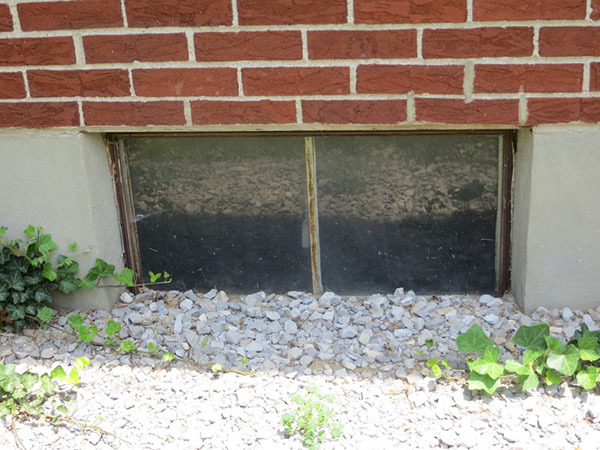 Many homeowners in the St Louis area have basement windows where the grade of earth is very near the bottom of the window or even above the bottom of the window such as what is pictured. When it rains hard many times the windows leak and the windows rust from the moisture. The SOLUTION…..Glass Block Basement windows from Masonry & Glass Systems award winning installers. We will install a solid concrete slab under our glass block panel that elevates the window above the moisture and keeps the window dry and clean. 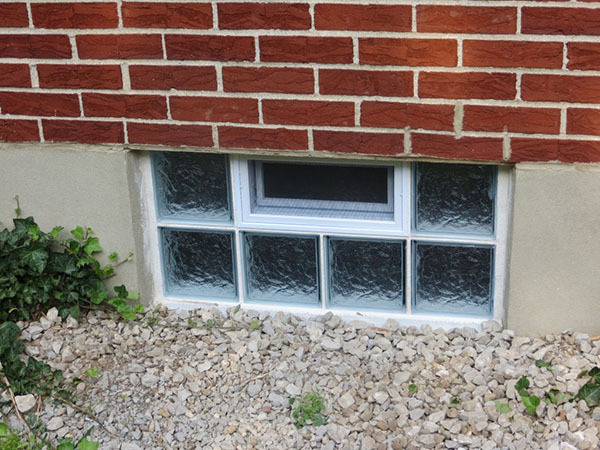 After the glass block window is installed the homeowner gets all the benefits of glass block, security, energy efficiency, light with privacy with the added benefit of a dry basement and a window that goes from a problem to an asset. Masonry & Glass Systems offers the best window installation in St. Louis. The best windows, at the best prices, with the best window company. Add beauty and security to your home with maintenance free energy efficient Mulia glass block installed in your basement windows. No more painting, caulking, storm windows or repairing broken sashes with Mulia glass block windows by Masonry & Glass Systems. Mulia glass block windows provide you with light AND privacy.